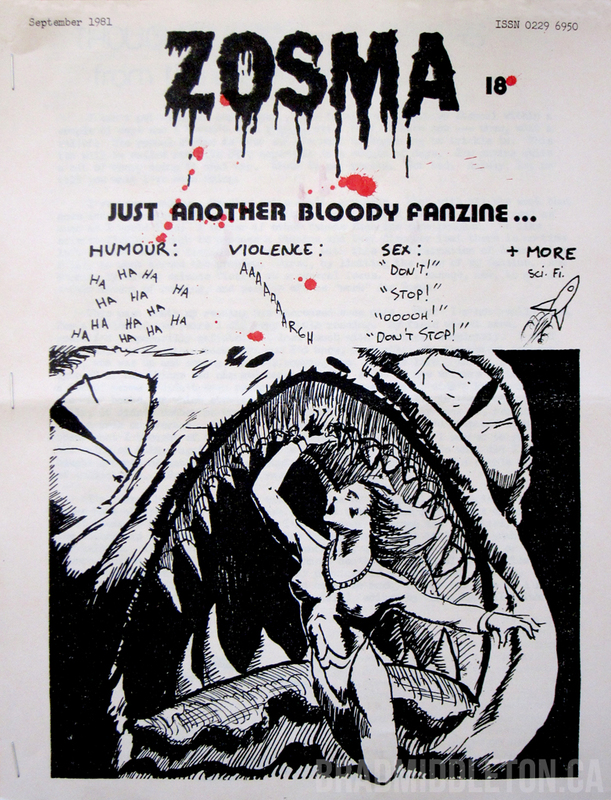 I've been casting a wide net while researching Canadian horror, supernatural, and dark fantasy work for inclusion in The Great Fright North. 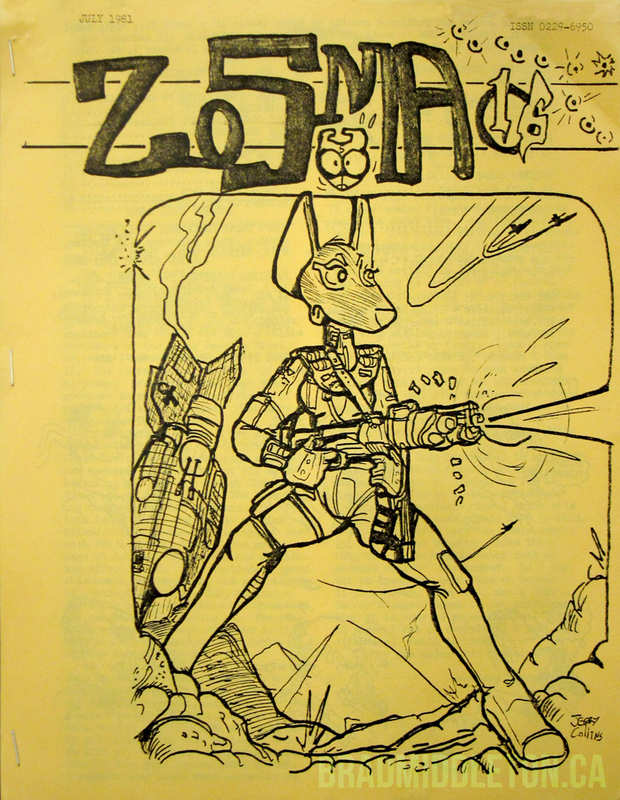 When it comes to fanzines, often I won't know if they're suitable for the book until I actually hunt them down and read through copies, since a title alone doesn't always indicate content. 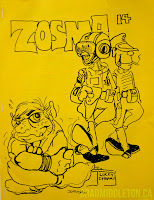 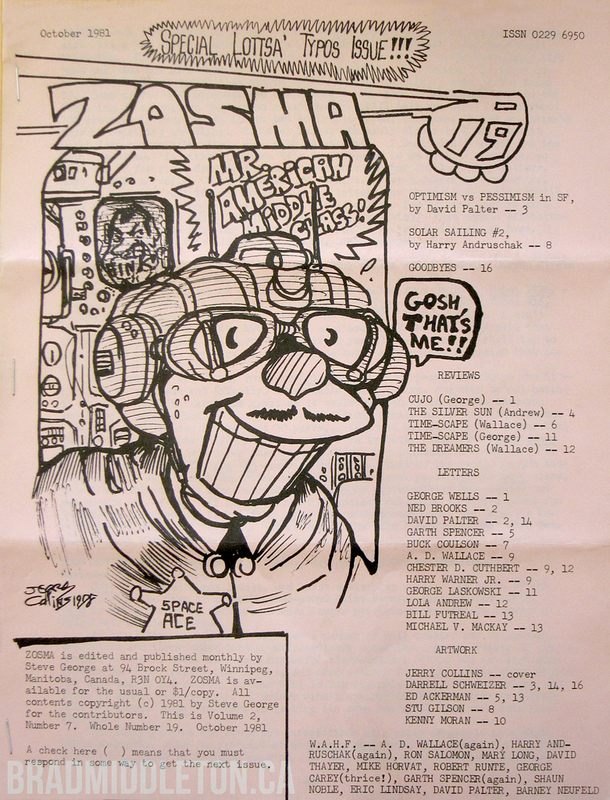 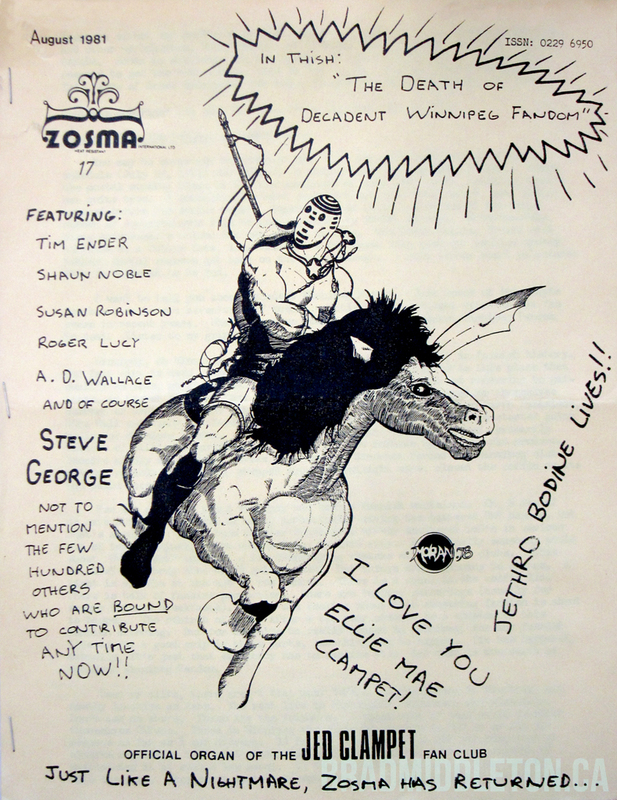 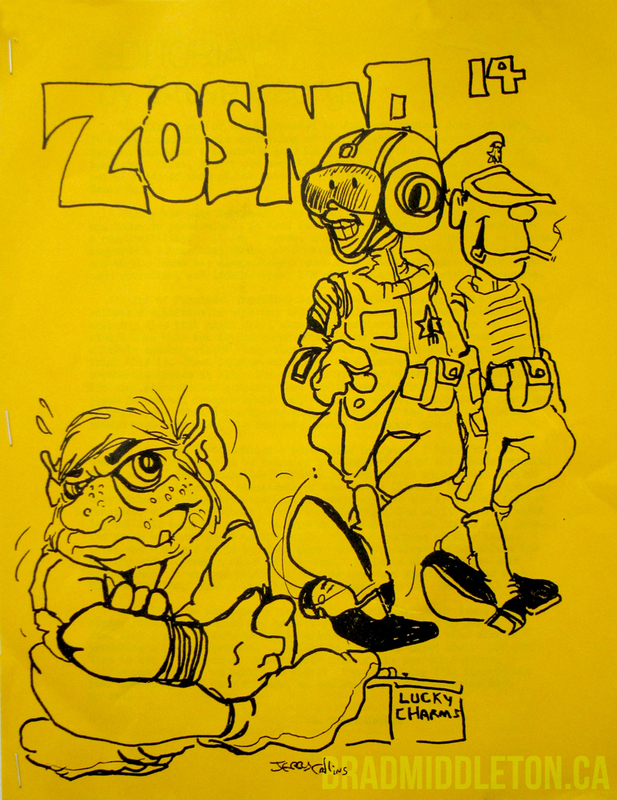 Such is the case for Zosma, a fanzine published c. 1978-81 by Steve George in Winnipeg, Manitoba. 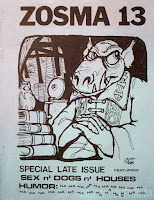 Now that I've had a chance to read through several issues, it does warrant a mention since occasionally it included horror film reviews. 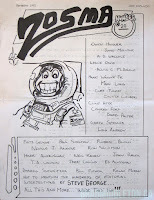 But because this is a very rare fanzine, I wanted to write a bit more about it here. 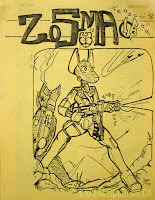 Based on the eight issues available, it seems the fanzine itself primarily focused on science fiction, with a mix of reviews, articles, and short fiction. 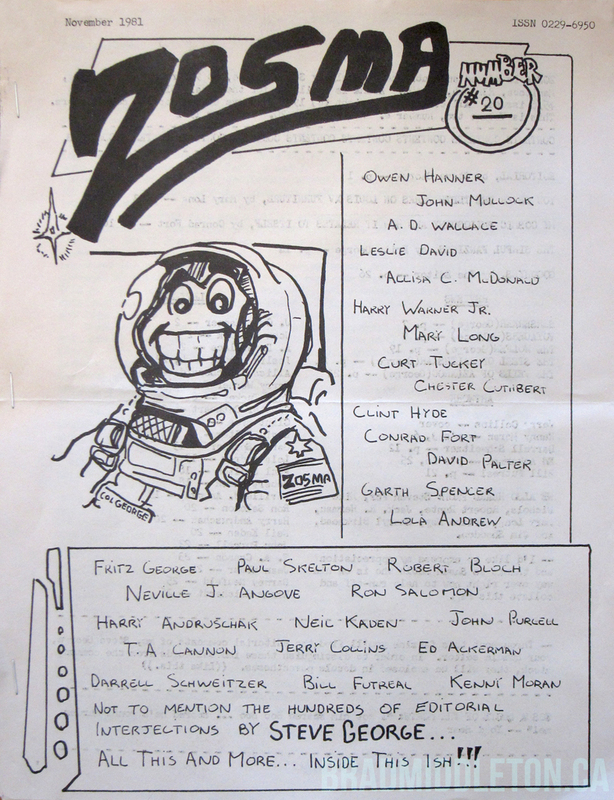 Steve George's regular contributors included Mary Long, Mike Nichols, Eric Olsen, and Tim Ender. 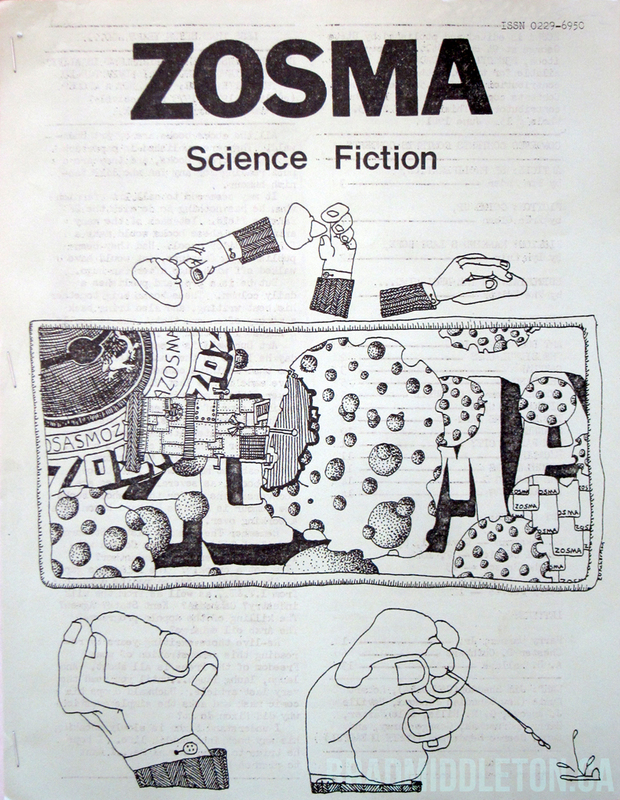 Cover artists were Jerry Collins, Ed Ackerman, and George himself. 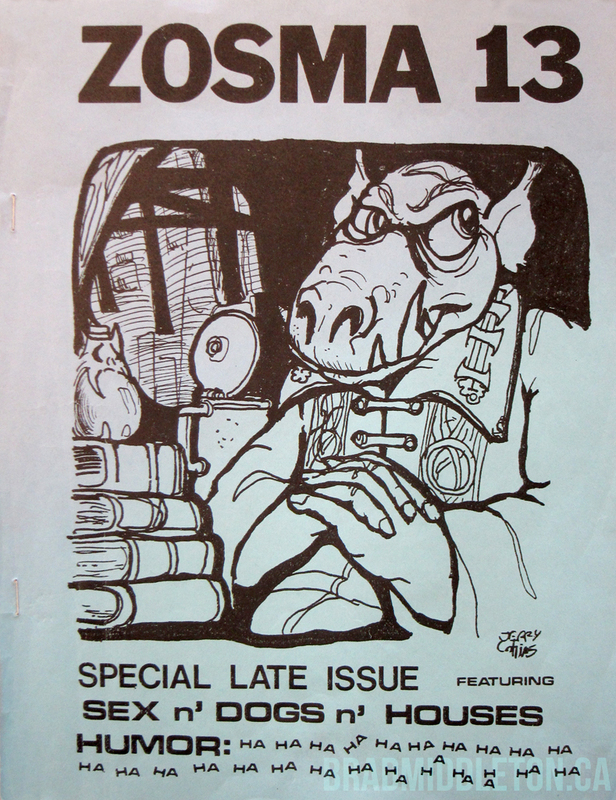 In issue #20, George notes that he's committing to a bi-monthly schedule for 1982, however I have been unable to uncover any additional issues of Zosma. 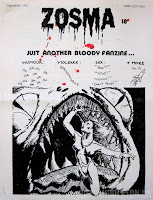 His name may be familiar to some, especially for fans of Canadian horror. 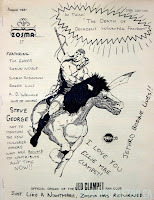 Steven R. George, as he became known professionally, had a prolific career as a horror author from 1989-1995, with 14 books published by Zebra. 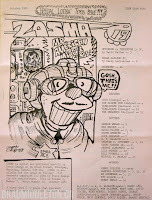 Not too bad for someone who started his writing career publishing a fanzine when he was just 17 years old!